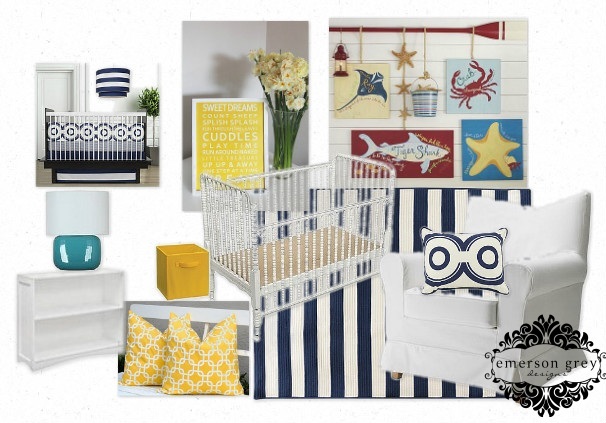 It has been talked about today on Stroller Traffic that navy is the new grey…do you like this or loath this? I actually don’t mind it at all and I think this will really get people thinking about the possible color combinations that can come from navy. I could go on and on with how many colors look great with navy. Pale pink…ok, I’ll stop. 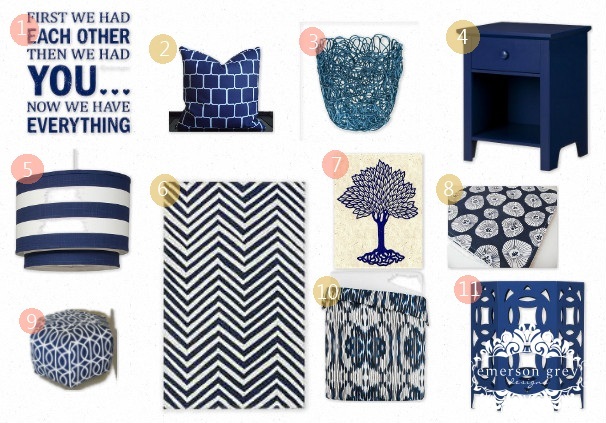 I decided to do a collection of all things navy…have fun with this classic, traditional color. Give it new life! I actually really like navy blue, but I'm a little sad that gray is heading out. I really do love it. 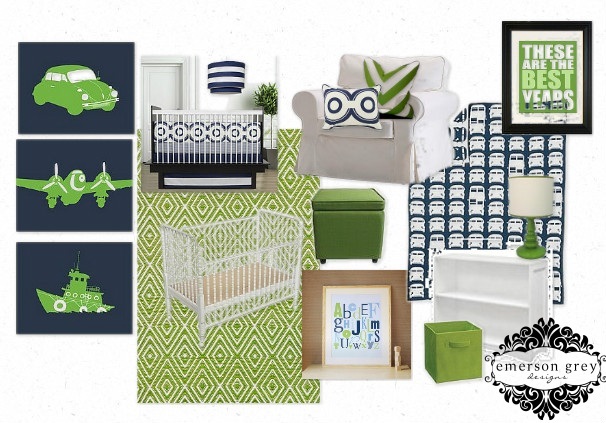 Although, I can't say I'm to big of a fan of that navy and turquoise. Just seems a little off to me?